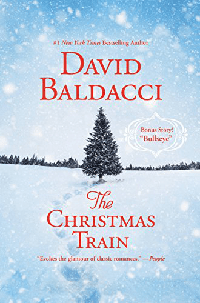 In The Christmas Train by David Baldacci, Tom Langdon’s life has gone off of the figurative rails. Once a hard-hitting journalist, he’s turned to writing puff pieces. On the no-fly list after an air rage incident and because it was one of his late father’s requests, Tom decides to take a train in order to meet his actress girlfriend and write about the experience. On the rails, he encounters a host of characters including the one that got away. Is it too late for love?